Home » Contract Basis , Law » 5 Legal Consultants in the Reserve Bank of India (RBI / Bank). 5 Legal Consultants in the Reserve Bank of India (RBI / Bank). III. Reservation for SC, ST, OBC and PWD: The posts are not reserved for any category. a) Providing legal opinion on the matters referred by the Bank. b) Providing legal advice on policy issues, support and guidance on any legal matters as desired by the Top Management. c) Assisting Governor / Deputy Governor / Top Management whenever they are required to depose before the various committees of Parliament or any other such forum. d) Providing support for finalizing the strategies for dealing with Court cases of importance for the Bank. e) Vetting of draft legislation and sub-ordinate legislation. f) Attending Conference with Legal Counsels whenever outside opinion is sought by the Bank and participating in meetings with Senior Government officials, when required by the Bank. g) Preparing draft pleadings, briefing the Bank’s Advocates, attending proceedings before the court, etc. h) Any other work as may be assigned by the Bank from time to time. V. Nature of Appointment: Appointment will be on contract basis as Legal Consultant equivalent to the post of officer in Grade ‘F’. VI. Period: The period of contact appointment will be three years from the date of taking up the assignment. The performance of the appointees on contract basis will be reviewed annually. IX. Age (as on 23-04-2018): Should not be below 45 years and above 55 years as on the date of advertisement. X. Selection Procedure: Selection will be through interview only. Familiarity and capability of the candidate to deal with issues relating to Banking Regulation Act, 1949, RBI Act 1934 and FEMA ,1999, etc., inter alia may be judged during the interview. XI. Remuneration: The compensation package (including market value of housing) will be equal to Cost-to Company(CTC) band equivalent to Grade ‘F’ Officers in the Bank as revised from time to time (Presently Rs.54.63 lakh per annum subject to tax). XII. Other terms and conditions will be as applicable to contract appointees in the Bank. XIII. 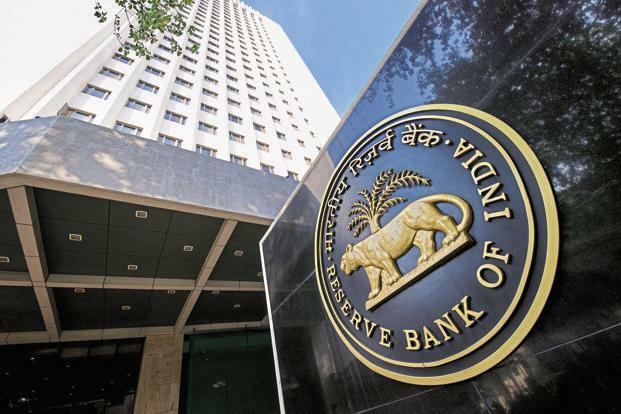 RBI Services Board reserves the right to limit the number of candidates called for interview by enhancing the minimum qualification requirements indicated above or through any other appropriate method, in case, the number of applications far exceed the number of advertised vacancies. XIV. The candidates called for interview shall be reimbursed Air Fare in economy class by the shortest distance. III. Reservations for SC, ST, OBC and PWD Categories: The post is not reserved for any category. a) Assisting the Legal Advisers generally in (i) carrying out Legal research (ii) providing legal opinions (iii) preparation of drafts of show cause notices and speaking orders for consideration of the authority competent to issue the same, as also to handle litigation, if any, and to carry out such official tasks as are assigned by the HoD or the Legal Adviser. b) Providing legal opinion on the matters referred by the Bank. c) Examining inter-departmental references and to provide opinion on legal issues arising therein. d) Providing support for finalizing the strategies for dealing with important Court cases. f) Attending Conferences with Legal Counsels whenever outside opinion is required and participating in meetings with Senior Government officials. g) Providing support and guidance on any legal matters. h) Preparing draft pleadings, briefing the Bank’s Advocates, attending proceedings before the court. i) Any other work as may be assigned by the Bank from time to time. VI. Period: The period of contract appointment will be three years from the date of taking up the assignment. The performance of the appointees on contract basis will be reviewed annually. Master’s Degree /Ph.D. in Law from a recognized university. X. Selection Procedure: Selection will be through interview only. Familiarity and capability of the candidate to deal with issues relating to Banking Regulation Act, 1949, RBI Act 1934 and FEMA ,1999, etc., inter alia may be judged during the interview. Based on the qualifications, experience etc. of the candidates, the Board may offer a position equivalent to either Grade ‘C’ or Grade ‘D’ officer in the Bank (in CTC equivalent). XI. Remuneration: The compensation package (including market value of housing) will be equal to Cost-to-Company (CTC) equivalent of Grade ‘C/D’ officers in the Bank as revised from time to time (presently Rs.26.84 / 36.91 lakhs per annum subject to tax). A candidate in whose case a certificate of eligibility is necessary, may be admitted to the interview but the offer of appointment may be given only after the necessary eligibility certificate has been issued to him/her by the Government of India. a. Candidates are required to apply only online using the website www.rbi.org.in. No other means / mode of application will be accepted. Instructions for filling up online applications are available at Appendix –I which is available on the Bank’s website www.rbi.org.in. The applicants are advised to submit only single application; however, if due to any unavoidable situation, if he/she submits another/multiple applications, then he/she must ensure that application with the higher Registration ID (RID) is complete in all respects like applicants’ details, photograph, signature, fee etc. The applicants who are submitting multiple applications should note that only the last completed applications with higher RID shall be entertained by the Board and fee paid against one RID shall not be adjusted against any other RID. b. All candidates, whether already in Government Service, Government owned industrial undertakings or other similar organisations or in private employment should submit their applications direct to the Board. Persons already in Government Service, whether in a permanent or temporary capacity or as work charged employees other than casual or daily rated employees or those serving under the Public Enterprises are however, required to submit an undertaking in the Online application that they have informed in writing to their Head of Office/Department that they have applied for the interview. Candidates should note that in case a communication is received from their employer by the Board withholding permission to the candidates applying for/appearing at the interview, their application will be liable to be rejected/candidature will be liable to be cancelled. At the time of joining, the recommended candidates will have to bring proper discharge certificates from their PSU/Government/Quasi –Government employer. (vii) attempting to commit or as the case may be abetting the Commission of all or any of the acts specified in the foregoing clauses; may in addition to rendering himself/herself liable to criminal prosecution, be liable. 7. LAST DATE OF RECEIPT OF APPLICATIONS: The Online Applications can be filled up to May 14, 2018 till 12:00 midnight. In all matters regarding eligibility, interviews, assessment, prescribing minimum qualifying standards in interview, in relation to number of vacancies and communication of result, the Board’s decision shall be final and binding on the candidates and no correspondence shall be entertained in this regard.